April 27, 2019 10am – 2pm local time, is National Prescription Drug Take-Back Day. 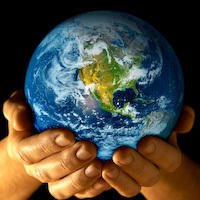 Happy Earth Day, Monday April 22, 2019. It’s great that more attention is being paid to eco friendly, green causes. Earth Day started slow, but has gained momentum every year. We celebrate it everyday as do many of our readers. Look for local events in your community. Most people do not want to negatively affect the environment with their clothing picks. Shockingly, there are several gotchas with even this simple Choice. Forget about straws, plastic bottles or coffee cups, your clothes maybe leaching plastic into the ocean. Polyester, nylon, acrylic, and other synthetic fibers — all of which are forms of plastic — are now about 60 percent of the material that makes up our clothes worldwide. Each year more than 500,000 metric tons of microfibers enters the ocean through WASHING of synthetic fabrics according to the International Union for Conservation of Nature and Natural resources.